Istanbul Landmarks: the Hagia Sophia Mosque (also known as AyaSofya) started as an Orthodox basilica in 360 and remained the world's largest cathedral for nearly a thousand years but in 1520 it was outdone by the Seville Cathedral. In 1453 it became a mosque and many of its items were removed. In 1931 it was secularized and then opened as a museum in 1935. 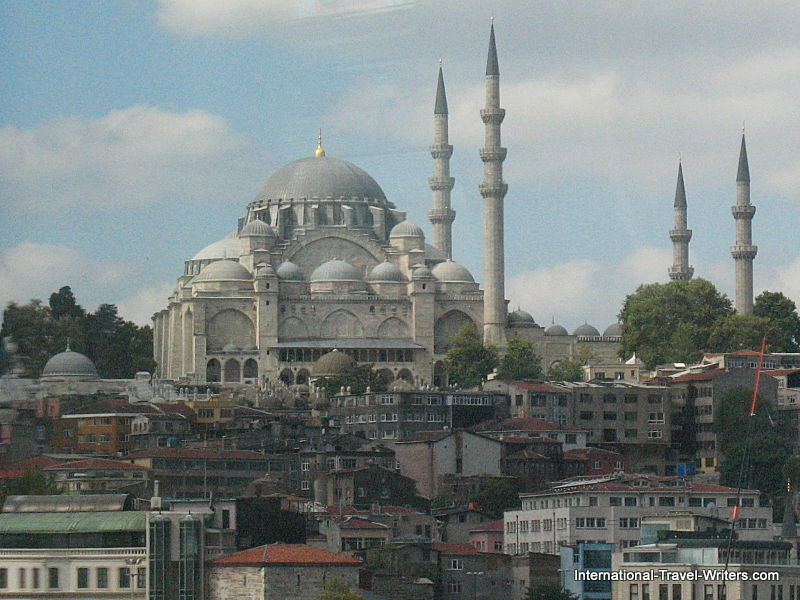 It is considered one of the finest examples of Byzantine architecture. Landmarks pepper the seven hills of the city which was modeled by Constaninople the Great after Rome with it's similar seven hills. 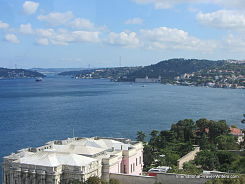 The first hill, where the ancient city of Byzantium was founded, begins from Seraglio Point and covers a large area containing Hagia Sophia, the Sultan Ahmed Mosque (Blue Mosque) and Topkapi Palace. 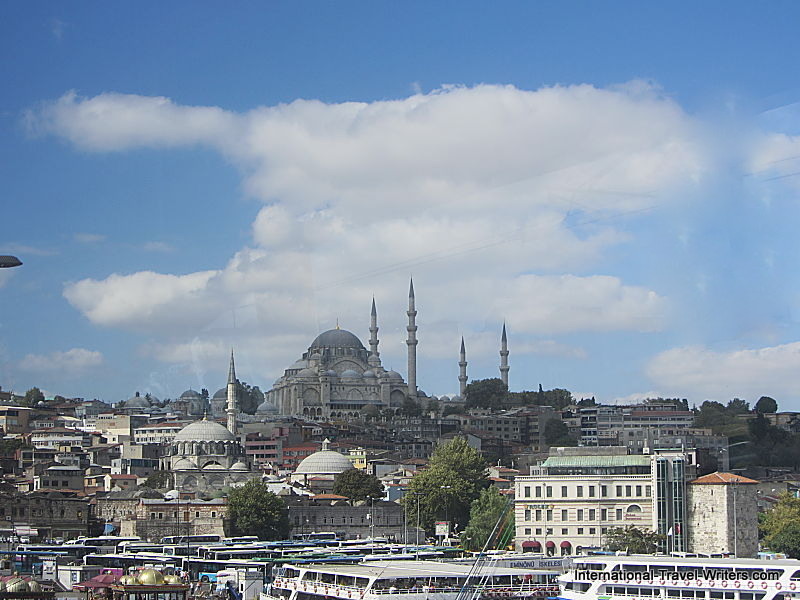 The second hill has the Nuruosmaniye Mosque, Grand Bazaar and Column of Constantine. 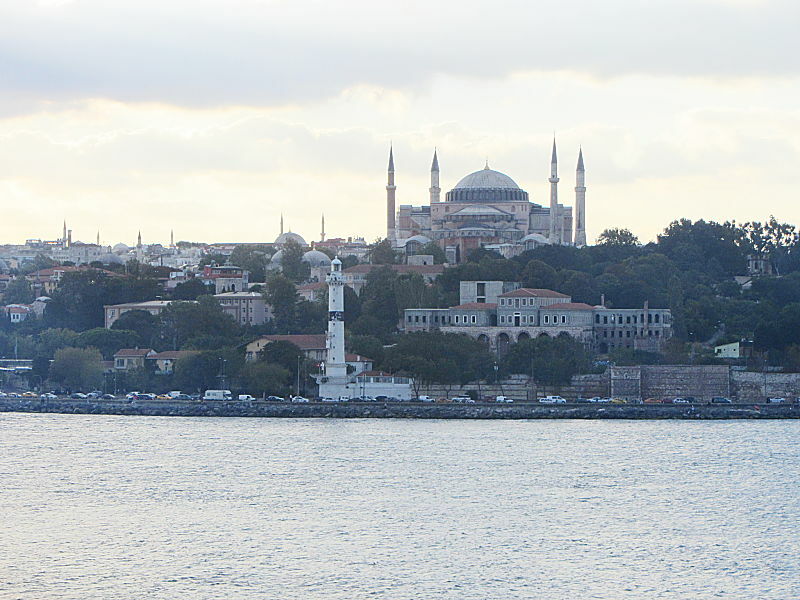 The third hill has the main buildings of Istanbul University, the Bayezid II Mosque (south) and the Suleymaniye Mosque (north). 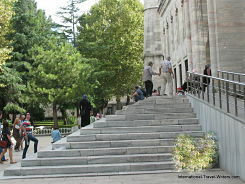 The fourth hill has the Fatih Mosque (former site of the Church of the Holy Apostle) and slopes steeply to the Golden Horn. The fifth hill has the Mosque of Sultan Selim. The sixth hill has two city districts and it gently slopes out beyond the line of the defense walls. The seventh hill extends from Aksaray district to the Theodosian Walls and the Marmara. This one is a broad hill with three summits. The Dardanelles Strait, 40 miles long and from 1 to 4 miles wide, connecting the Aegean Sea with the Sea of Marmara and separating the Gallipoli peninsula of European Turkey from Asian Turkey. 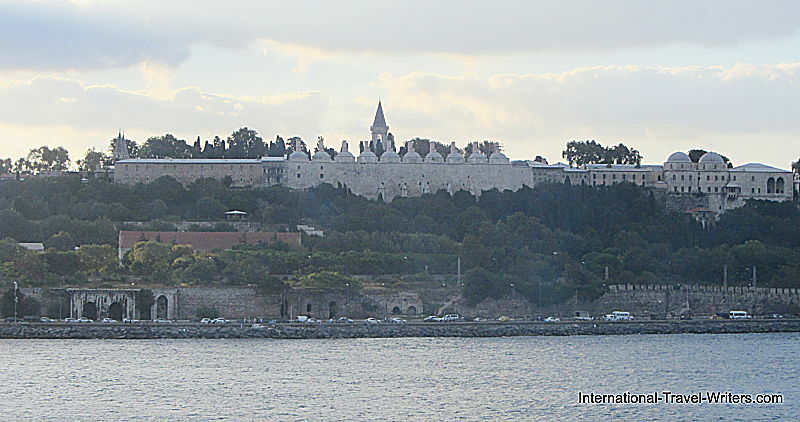 It was called the Hellespont in ancient times and was the scene of the legend of Hero and Leander. 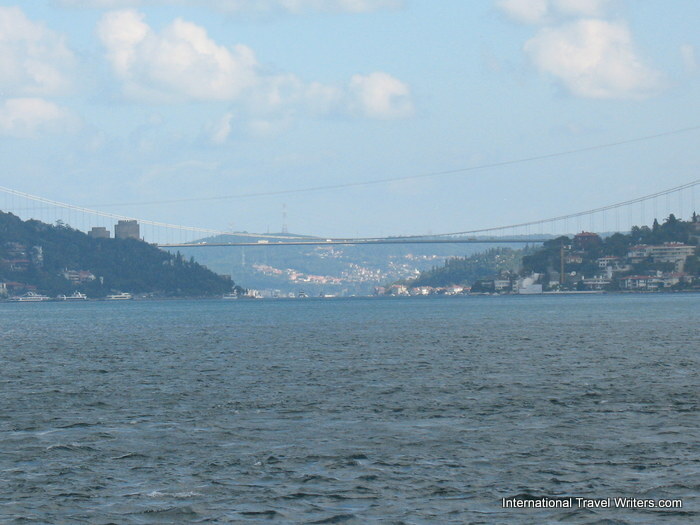 Controlling navigation between the Black Sea and the Mediterranean, the straits are important and are prominent Istanbul landmarks. Ancient Troy prospered at the western entrance to the Hellespont and Xerxes I crossed (481 BC) the strait over a bridge of boats, as did Alexander the Great in 334 BC. 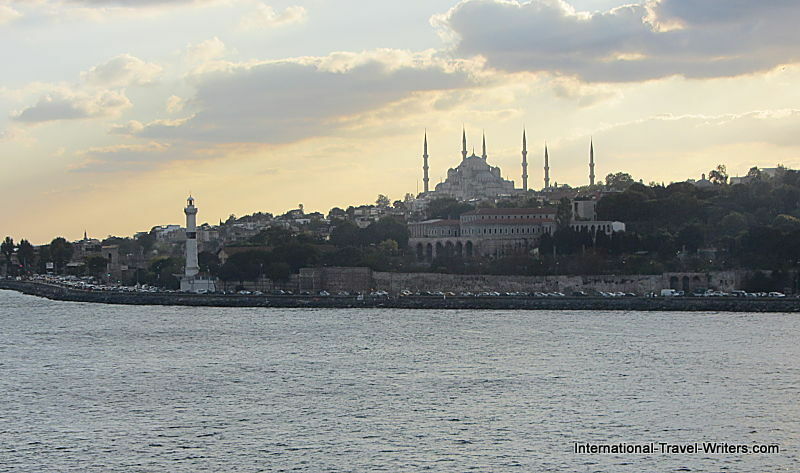 Throughout the existence of the Byzantine and Ottoman empires the Straits were essential to the defense of Constantinople (Istanbul). 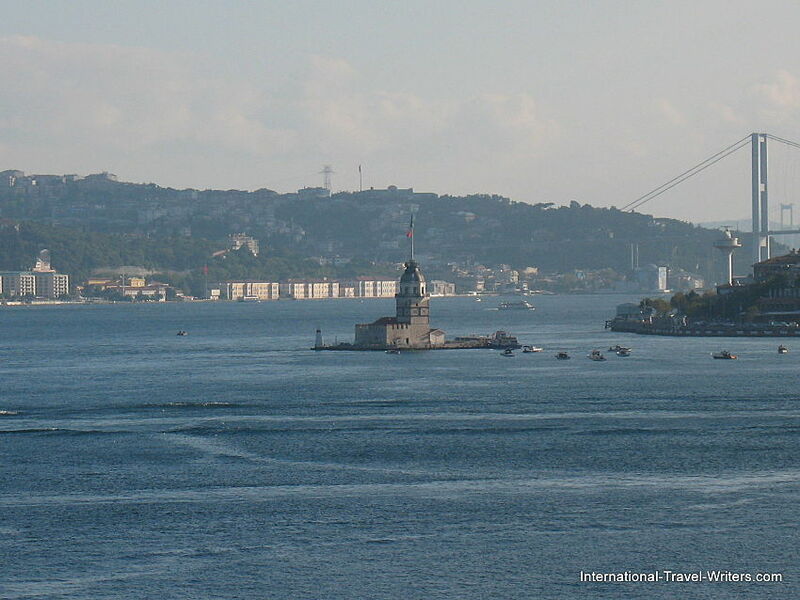 Istanbul Landmarks: the Maiden's Tower (also known as Leander's Tower since the medieval Byzantine period) is a tower perched on a small islet at the southern entrance of the Bosphorus strait off the coast of Istanbul. There are several legends about the tower being named for a maiden. One has to do with a Sultan's daughter and oracles and the other with Greek mythology's Leander but it is generally believed that the islet was chosen as a custom station for ships coming back from the Black Sea after a naval victory by an Ancient Athenian general. Then, in 1110 Byzantine Emperor Comnenus built a wooden tower protected by a stone wall. Another tower was built on the European shore and an iron chain was draped across to it. This enabled a defence wall to be formed that hoined the Europen and Asian shores via the tower on the small islet. The underwater remains are still visible today. 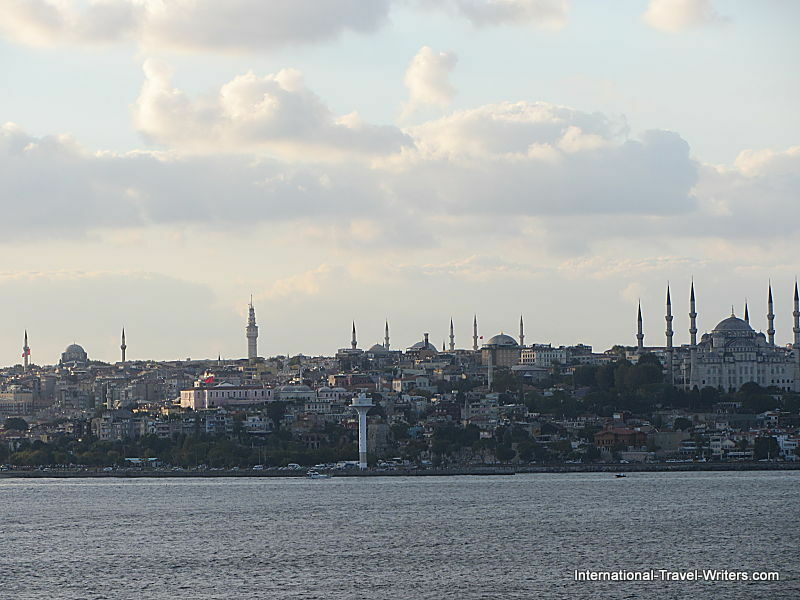 In 1453, after the conquest of Constaninople, Sultan Mehmet II used the structure as a watch tower. It had mistakenly been called Leander's Tower (the legend of Hero and Leander took place in the Dardanelles) but the name stuck. An earthquake in 1509, then a fire in 1721 pretty much ruined it but the surrounding walls were repaired in 1731 and in 1763 the walls were rebuilt with stone. Mainly a lighthouse, the tower was used as a quarantine station from 1829. It underwent a restoration in 1832 and again in 1945. In 1998 steel supports were added around the ancient tower as a precautionary measure. Today there is a restaurant occupying the first floor and a cafe on the top floor with great views of many Istanbul landmarks. Private boats make trips to the tower several times a day and the location has been featured in a number of movies, including a James Bond film. 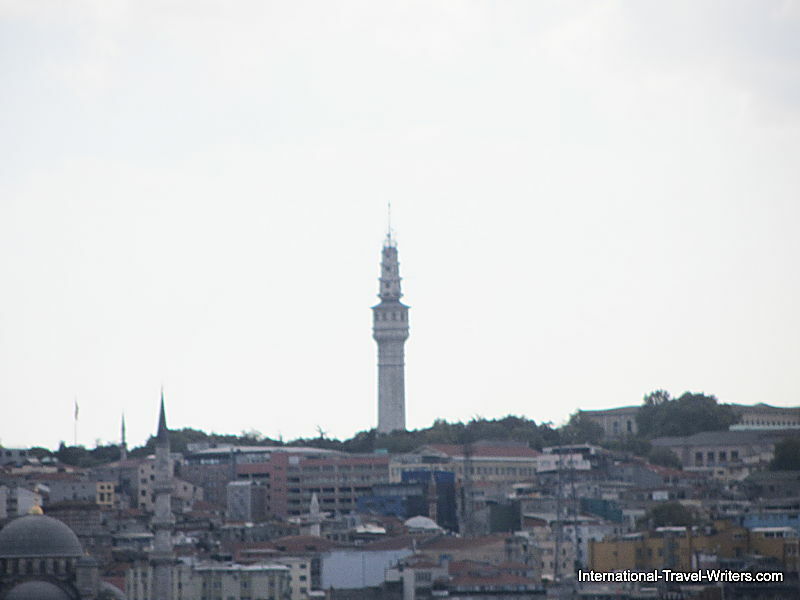 The Beyazit Tower is an 85 meter tall fire-watch tower located in the courtyard of Istanbul University's main campus atop the third hill (of one of the "seven hills of Istanbul"). 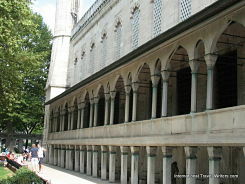 Istanbul Landmarks: Topkapi Palace was built soon after the Ottomans won the battle for Constantinople and it remained the lavish residence of the sultans and their numerous wives for over 400 years. It was built as a series of four courtyards. You have to pay a separate fee to visit the Harem, but the famed Topkapi dagger and elaborate library are certainly worthy of notice. 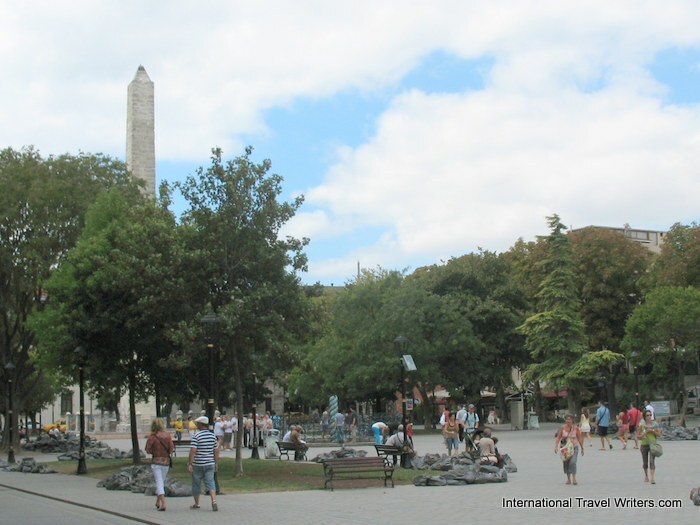 Istanbul landmarks feature the Hippodrome of Constantinople that was once a circus where sporting and social events were centered in old Constantinople (similar to Circus Maximus in Rome). It is sometimes called "Horse Square" not only because of the horse races and chariot races of olden times but also for the four copper gilded horses that stood high atop the Hippodrome Boxes (Imperial box seating). These four gilded horses are now called the Horses of Saint Mark and were installed on the facade of St. Mark's Basilica in Venice after being looted in the Fourth Crusade in 1204. 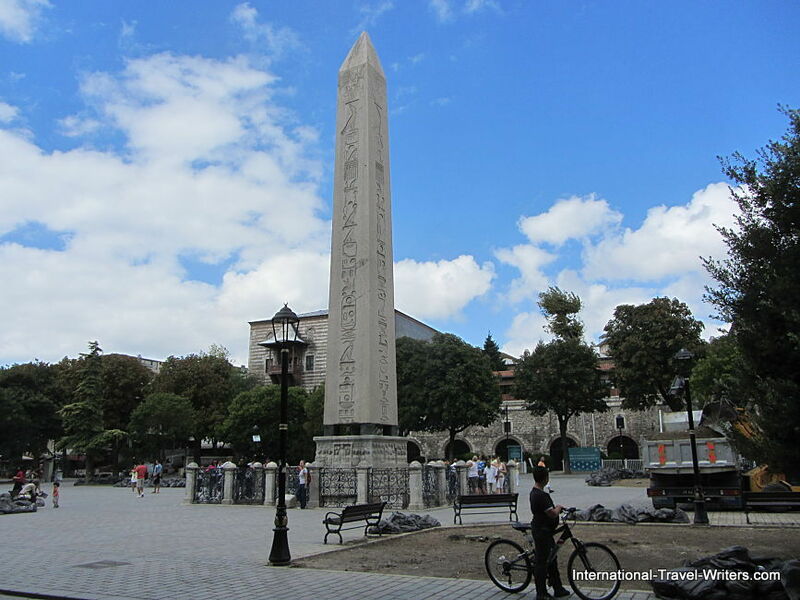 Today, the Hippodrome is a square called Sultanahmet Meydani (Sultan Ahmet Square) and little of the past is visible except the Obelisk of Thutmose III, a part of the "Serpent Column" and the stone innards of the "Walled Obelisk (105 feet tall) that had been made of roughly cut stones and then covered with gilded bronze plaques in the 10th century by Emperor Constantine VII. It was also looted during the Fourth Crusade. The Obelisk of Thutmose III was brought from Egypt in 390 by Theodosius the Great and he erected it inside the Hippodrome (racing track). It was originally at the Temple of Karnak in Luxor in about 1490 B.C. He had it cut into three pieces to ship it and the top section still stands where he placed it, on a marble pedestal. 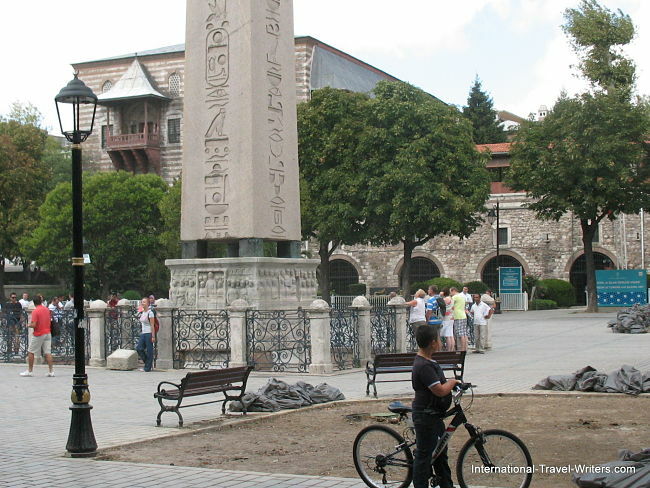 One of the Istanbul landmarks, the Hippodrome is maintained by the Turkish government. In the vicinity there were remains of the original Hippodrome found such as seating and columns during land clearance for a public building. But unlike Rome or sometimes Athens, no further investigation was done and the findings were sent to museums which leaves many to believe that much more is below the surface. In the above photo you can see the small arches that lead into the restrooms. It cost the equivalent of .50 cents to enter. This was the first time I had run into this experience...the stall contained no toilet, just a small hole in the floor of the paved stall. You better have good aim. Thankfully, being a woman I always carry Kleenex in my purse because there was no tissue. There was a small metal bucket lined with plastic to place refuse that sat in the corner of the stall. I wondered how persons with physical handicaps could squat to use these facilities. I then made it a point to only use public facilities when there were no other options available. 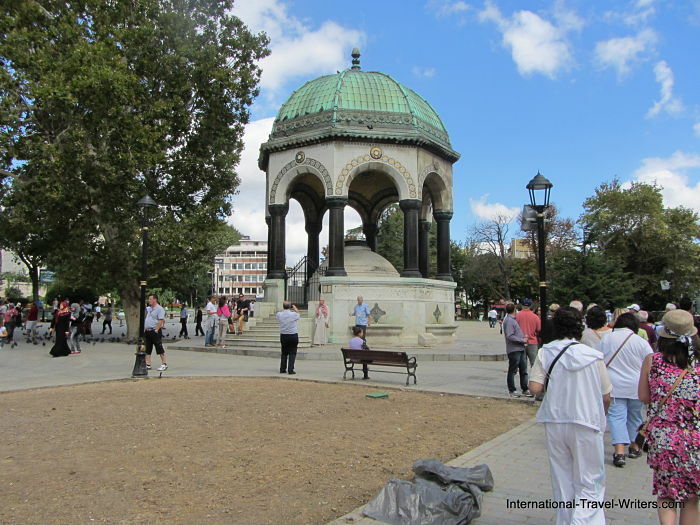 The Hippodrome (Sultanahmet Square) has a German Fountain built by the German Government in 1900 to celebrate the visit to Istanbul by German Emperor Wilhelm II in 1898. 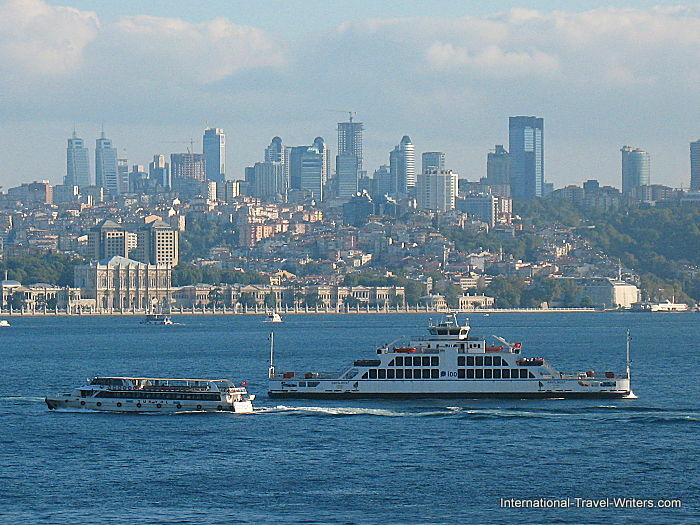 This is considered another of the Istanbul landmarks. 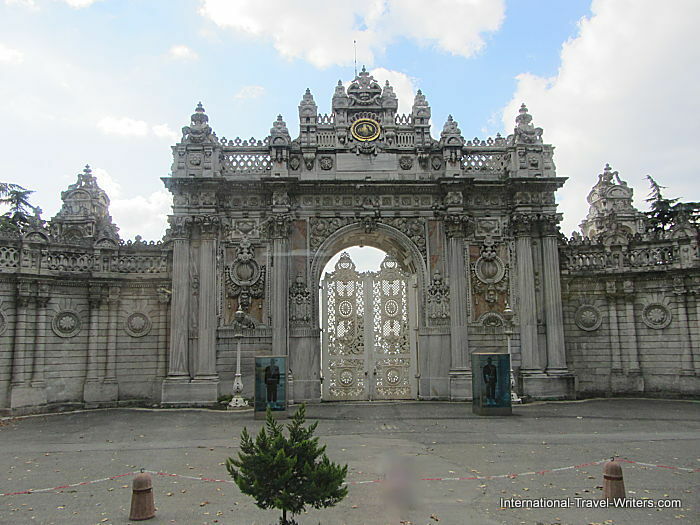 Istanbul Landmarks: the Dolmabahce Palace is on the European coastline (seen on the far shore) and it actually served as the main administrative center of the Ottoman Empire from 1856 to 1922 (with just a 22 year break when the Yldiz Palace was used). It holds the world's largest Bohemian crystal chandelier in the center hall, a gift from Queen Victoria, weighing 4 1/2 tons. 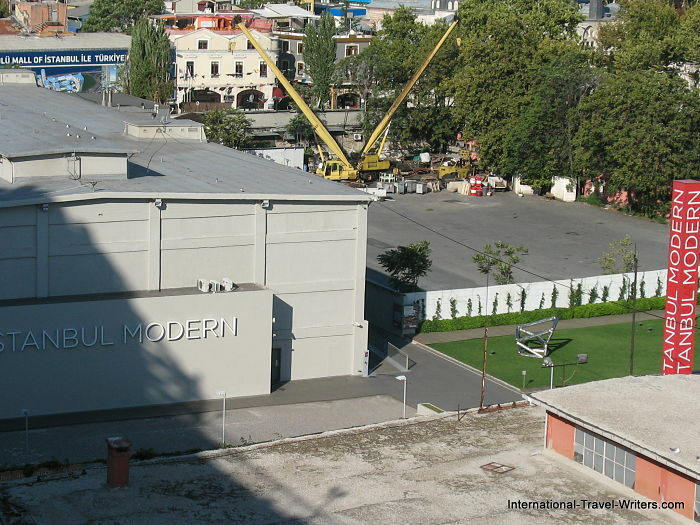 The Istanbul Modern Museum of Art features cutting-edge contemporary art and it's meant to give visitors an inkling of the "new city" feel. At first we thought it was a warehouse, and it is...but it's a converted warehouse in the Tophane neighborhood on the Bosphorus. Opened in 2004, it is the first of its kind because it breaks away from traditional architecture seen throughout Turkey. 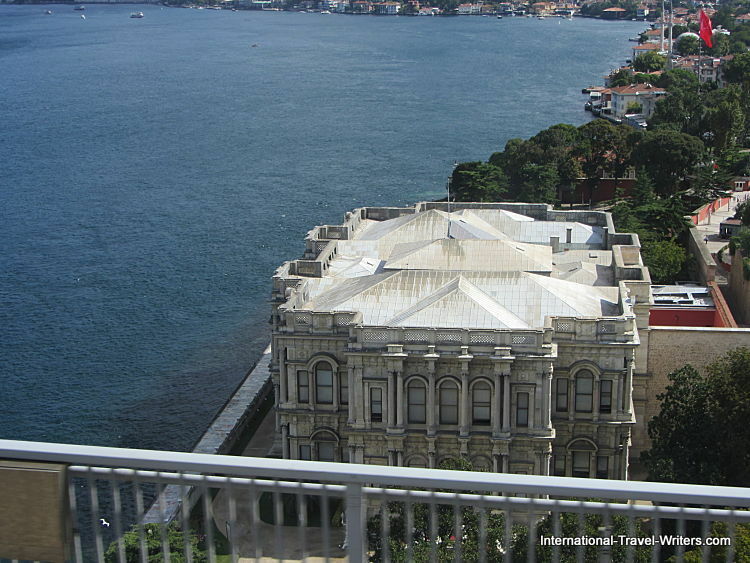 The top floor is devoted to a permanent collection of works and also has a shop and a restaurant offering stunning views across the Bosphorus to the minarets of Sultanahmet and beyond while the ground floor contains temporary exhibits joined by a library and a cinema. Hours: Closed on Mondays (Tue-Sun 10am to 6pm but Thursdays are 10am to 8pm. 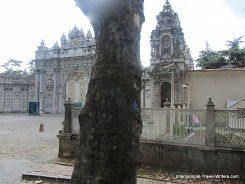 We only had a bird's eye view of the white marble Beylerbeyi Palace from the bus as we returned from the Anatolian side heading back to the European side of Istanbul. 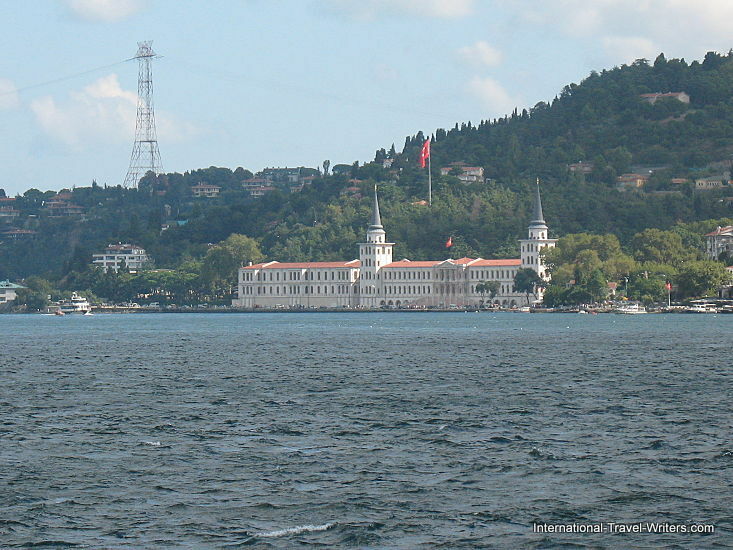 This member of the Istanbul landmarks is on the Asian Bosphorus shore. It is actually a complex of buildings (Marble Mansion, Yellow Palace, Hasahir and progression halls) with the palace at its center. 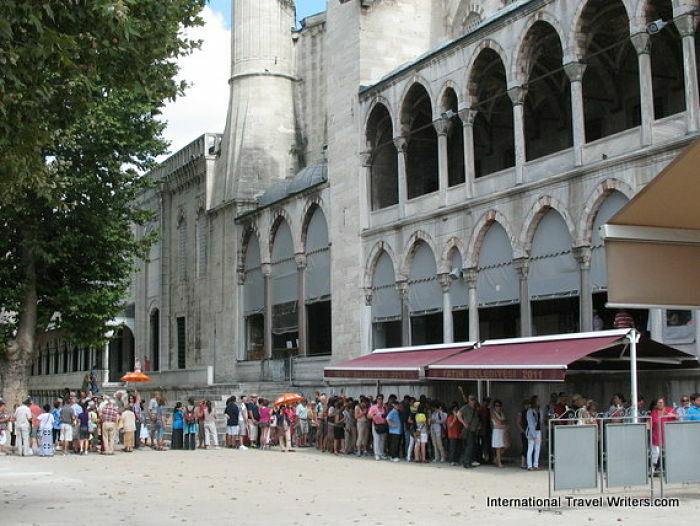 It was built in 1864 and has hosted foreign luminaries such as Empress Eugenie of France. 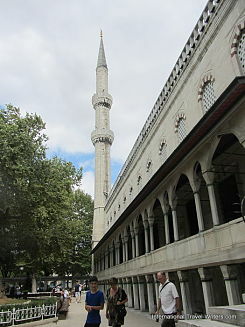 Yeni Camii (New Mosque) gets its name because it was the newcomer to the area...but it opened in 1663. 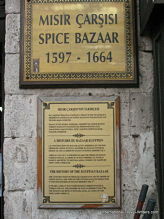 It has a very strategic position right next to the Spice Market making it a heavily trafficked area that is prime for people-watching. Kuleli Military High School was founded in 1845 but it had a number of times when it was used as a military hospital. During the Russo-Turkish War (1877-1878), the Balkan War (1912-1913) a hospital, and at the end of World War I it was used for orphans and immigrants until 1922. During the Second World War it was once again converted into a 1,000 bed military hospital but since 1947 it has been simply the military high school that it was founded to be. Notable alumni include several Turkish presidents, army commanders, writers and fighter pilots. 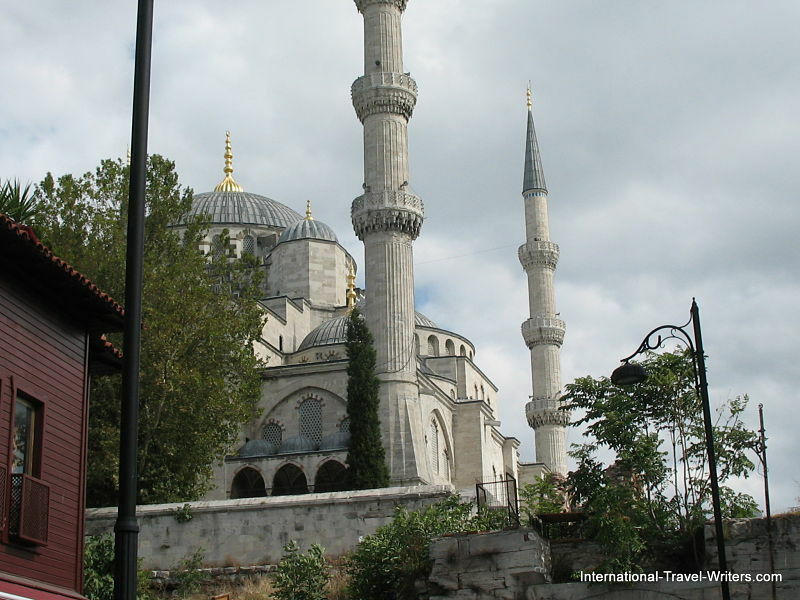 Sultan Ahmet Mosque (Blue Mosque) is named for more than 20,000 blue tiles adorning the walls of its interior but visitors don't see most of them because they are mainly on upper floors not accessible to tourists. 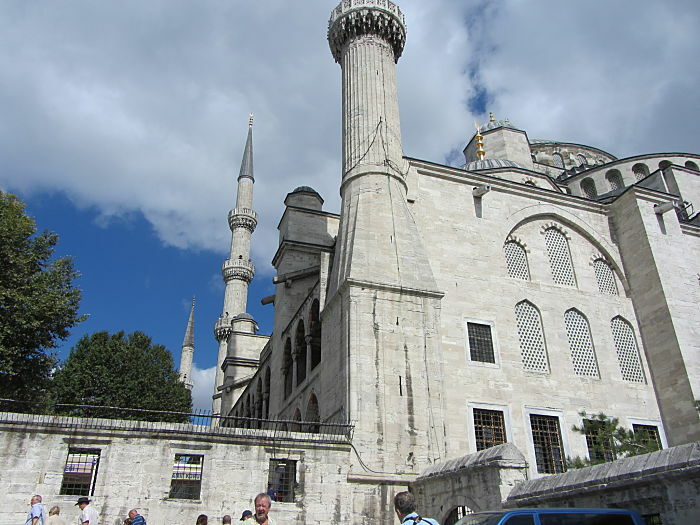 Just across from the Hippodrome, the Blue Mosque was built in the early 1600's during the rule of Ahmed I. It contains the tomb of the founder, a madrasah (school) and a hospice. The design is both Ottoman and Byzantine. 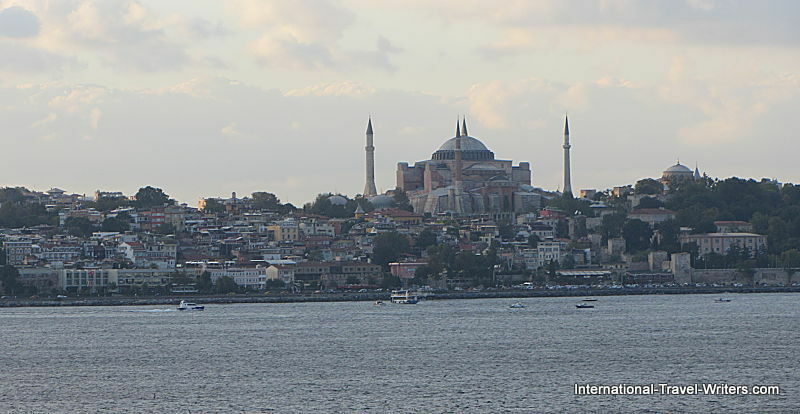 It's built on the site of the Great Palace of Byzantium, on the first hill. 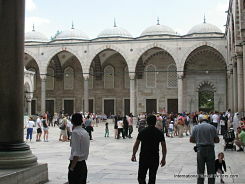 Crowds were lined up waiting to get into the Blue Mosque. The orange umbrellas (with numbers on them) are the tour guides who try to keep their flock following them in some semblance of order. 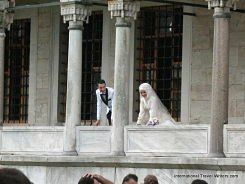 We happened to be in attendance at the Blue Mosque when a wedding was performed and it appeared that it was a major event. 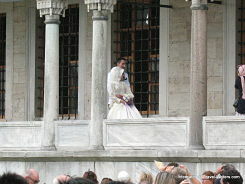 The couple looked happy and dressed superbly.